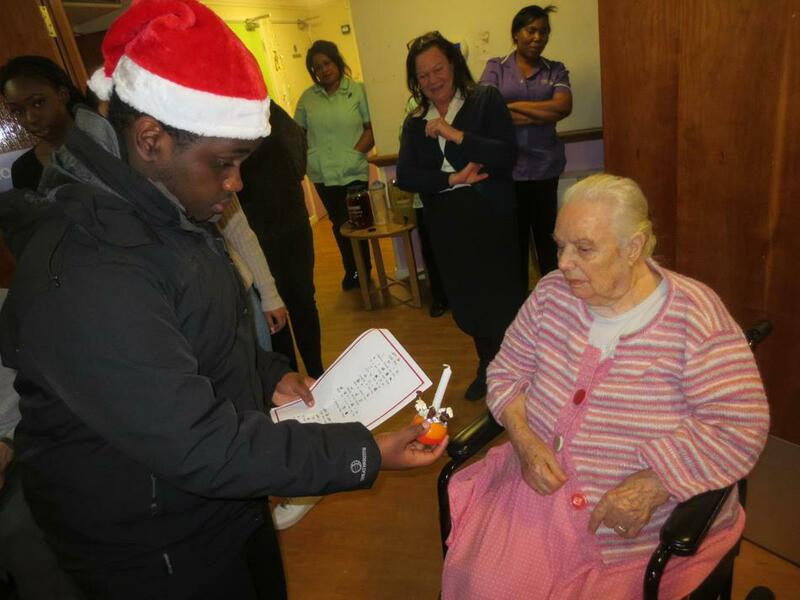 JFK students won the hearts of residents of Summerdale Court Care Home in Beckton with a performance of a Christmas carol show in December 2017. Nine students from Class 2 and Class 7 gave a warming rendition of favourite winter songs for elderly residents. Students donned festive gear and used bells or their voices to accompany three much-loved songs. The highlight of the show was a pre-recorded audio commentary by JFK student Miles Anderson. Miles introduced each student to residents, and talked about the values of the school and Christmas. After their performance, JFK students presented residents with "Christingle" decorations, representing the Christmas message. Residents were so delighted by the show that care home staff invited the school to perform again in 2018. "This was the first time many students had performed in front of a live audience. It was an exciting occasion for everyone involved," said JFK teacher Tom Chatwin who helped organise the show.